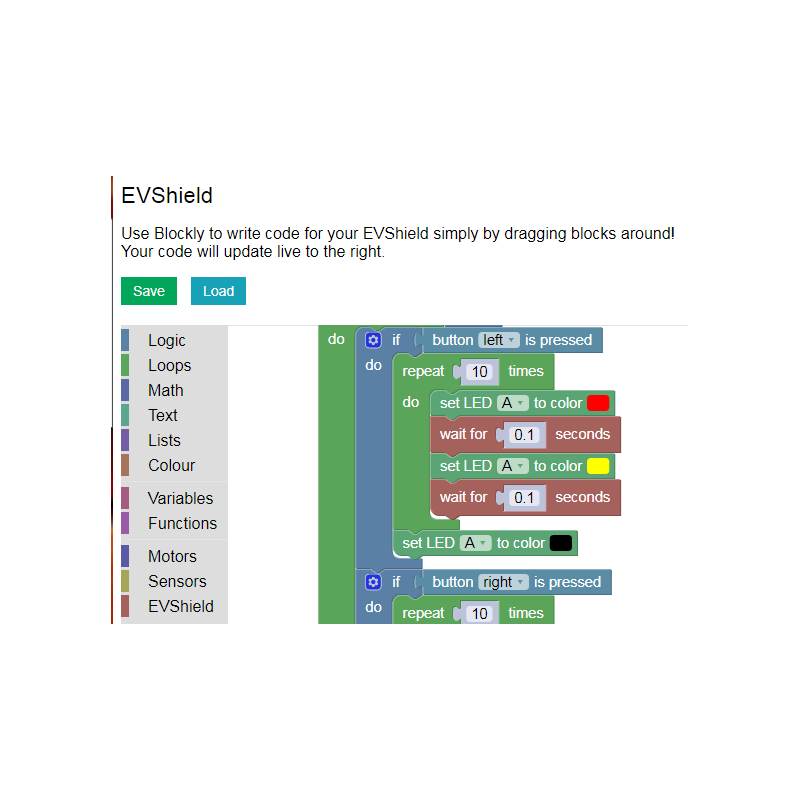 Produktinformationen "EVShield & MicroPython with Blockly Support"
EVShield attaches directly to an Arduino Duemilanove, Uno or Genuino 101 or Uno compatible Micropython board and it has headers to connect other shields on top. It allows you to connect up to 4 EV3 or NXT motors, and 4 NXT or EV3 Sensors, and program for them through Arduino sketch. 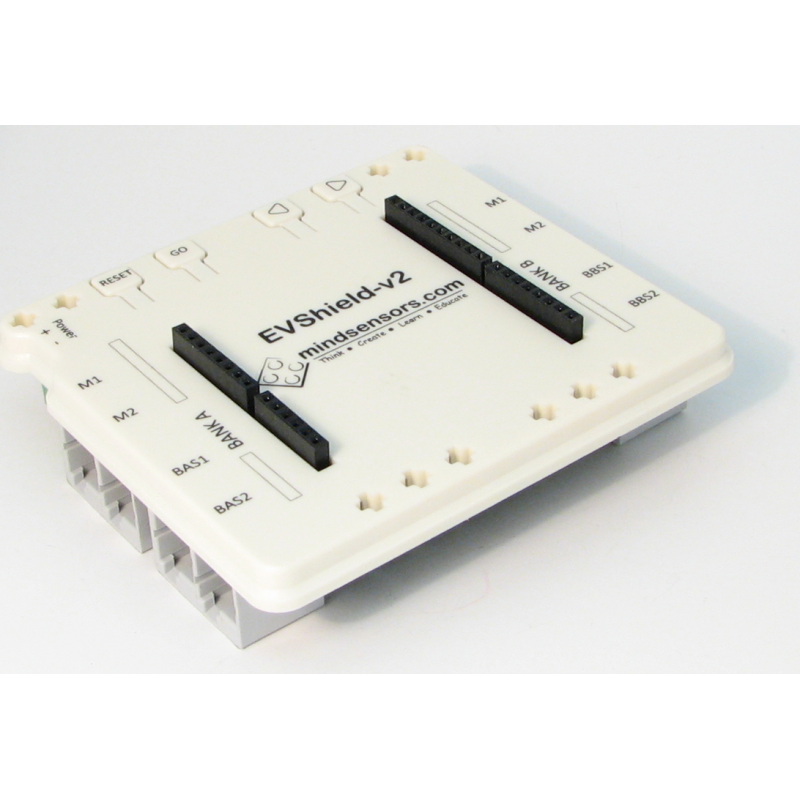 You can also attach upto 6 RC Servo motors to EVShield. It also provides ports for I2C devices. 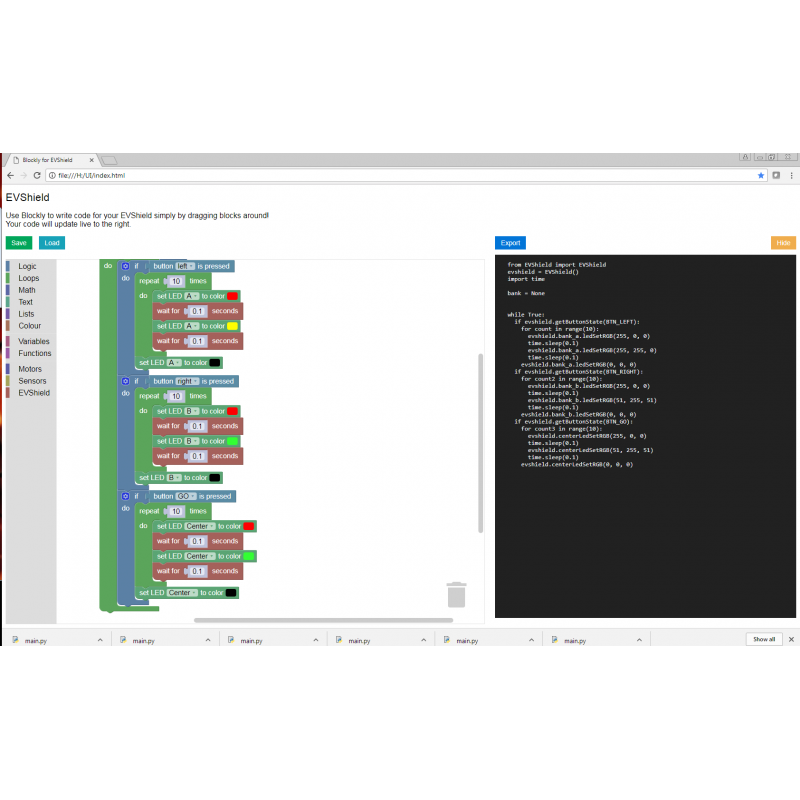 You can be programed using Python or Blockly. This bundle includes an EVShield and an Uno compatible MicroPython board, 1Gb MicroSd card and USB cable. 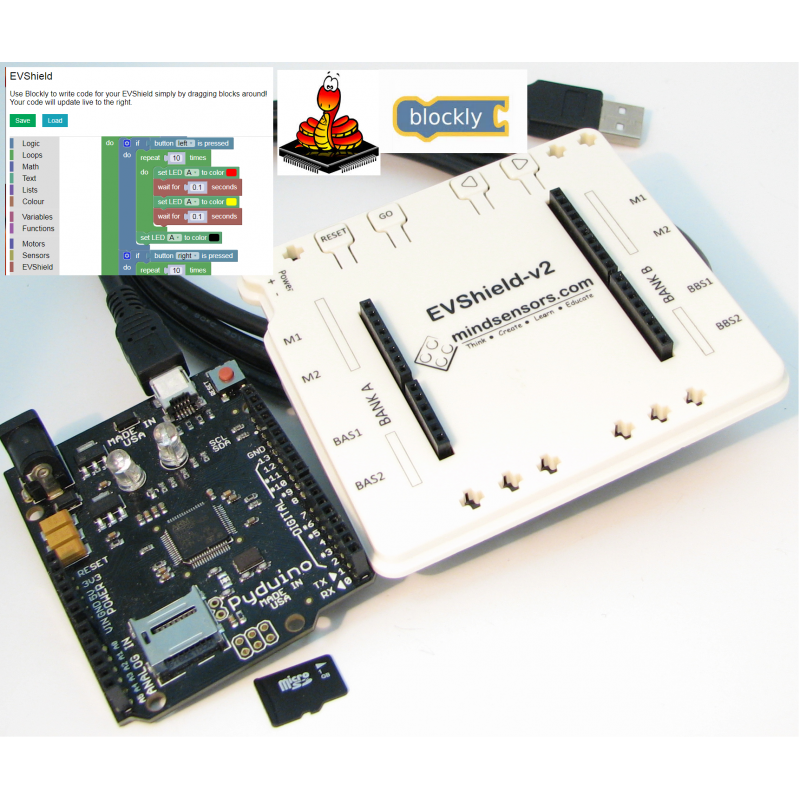 Weiterführende Links zu "EVShield & MicroPython with Blockly Support"
Garantie(Jahre) "EVShield & MicroPython with Blockly Support"
Kundenbewertungen für "EVShield & MicroPython with Blockly Support"